People ask me all the time what are good poker HUD stats to have in 2019. Or what are the best poker HUD stats for a winning player. The best poker HUD stats to have are VPIP, PFR, AF, 3Bet% and ATS. There are many more useful preflop and postflop stats to have such as 4Bet% and flop, turn and river CBet. However these are the 5 best poker HUD stats to have on your table. Now the next thing you probably want to know are what are the best numbers for all of these poker HUD stats. Well, this is a bit more of a controversial topic. And this is because there is no one single "correct" way to win at poker. Many different styles of play can be effective. What Are Good Poker HUD Stats in 2019? However, from my many, many years of playing online poker (and 10+ years as a pro) I think there are some generalizations that can be made about what the best HUD stats to have are. In other words, some ideal targets to shoot for. Let's put it that way. 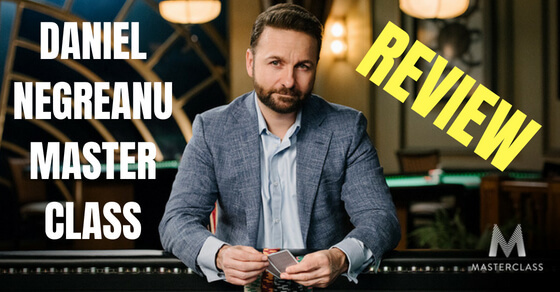 So I am going to break it down for you in this article and list good poker HUD stats for both 6max and full ring micro stakes cash games. They will apply to both Zoom and regular tables. Hopefully this will help you know what to shoot for in your own play and what to look for in your opponents as well. What is the Best Poker HUD in 2019? But quickly before I get to the actual numbers some people reading this might want to know what the best poker HUD is. I would assume anyone reading this article already knows what a poker HUD is and the benefits that it has for online poker. But if not, I would recommend reading this article of mine first. So what is the best poker HUD in 2019? Well, as I already mentioned above I use PokerTracker. 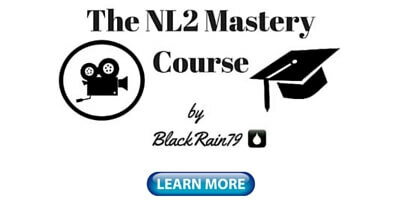 That is my affiliate link for the 30 day trial version of the program. You can simply go and test drive it for yourself. Here is the video I made on how to install PokerTracker and get it up and running at the poker tables in less than 5 minutes as well. For me personally though I have used PokerTracker for close to 10 years now. I think it offers the best poker HUD setup, it is the easiest to use and has the most extensive array of HUD stats. 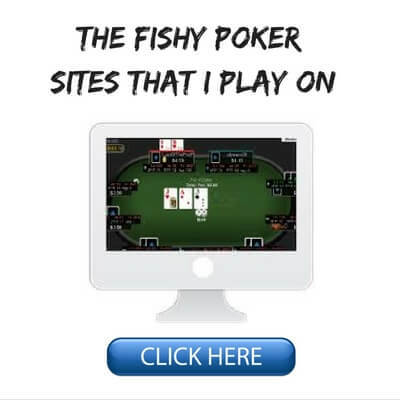 And nearly every online professional poker player who I know uses PokerTracker as well. So it's the clear winner in my opinion. Therefore, all of the recommended poker HUD stats listed below will be based upon the terminology used in PokerTracker. I am going to break this up into the best poker HUD stats for 6max and Full Ring. Because these games play differently and therefore the best poker HUD stats for each game are sometimes different. 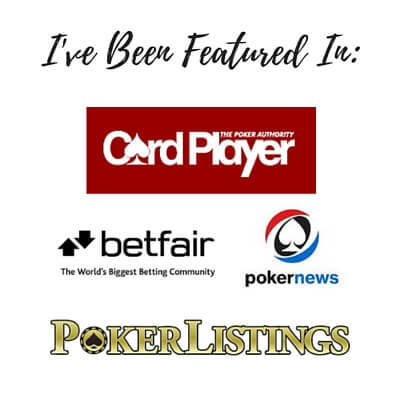 However, both sets of stats listed below will have you playing a solid TAG (tight and aggressive) poker strategy, which is the optimal play style for new poker players in particular. 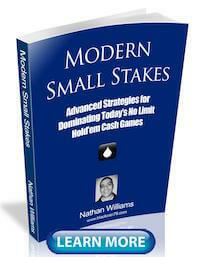 It is still arguably the most profitable play style to crush the lower stakes as well. And I also want to be clear about that as well. The recommended poker HUD stats listed below are for small stakes games only. They are not for high stakes poker games. This HUD stat stands for voluntarily put money in pot. It tells you what percentage of hands somebody plays. It is the #1 most important poker HUD stat to have. This is another absolutely crucial poker HUD stat which stands for preflop raise percentage. This is the percentage of hands that somebody raises before the flop. Aggression Factor is another extremely useful poker HUD stat based on the mathematical expression in PokerTracker: ( Total Times Bet + Total Times Raised ) / Total Times Called. The percentage of the time that somebody re-raises an opening raise before the flop. This is an extremely crucial poker HUD stat to have available. I use it very often. Just as important as how often they 3Bet is how often they are going to fold when I 3Bet them. Another extremely useful poker HUD stat that you must have. 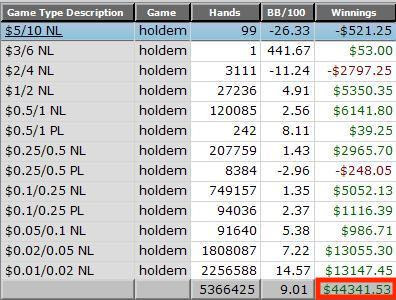 A mathematical value for how often somebody re-raises a 3Bet. I personally use 4Bet ratio instead of 4Bet percentage because I believe it is a better indicator of their range. Attempt to steal the blinds is another very useful HUD stat that will help you make better decisions at the poker table especially in late position battles. And of course just as important as knowing how often they attempt to steal the blinds is how often they fold their blinds to a steal attempt. The percentage of the time that somebody makes a continuation bet on the flop after raising before the flop. All of the following postflop stats are extremely useful in picking the best line to take after the flop. The percentage of the time that somebody makes a continuation bet on the turn after raising before the flop. The percentage of the time that somebody makes a continuation bet on the river after raising before the flop. The amount of the time somebody folds to a continuation bet on the flop. The amount of the time somebody folds to a continuation bet on the turn. The amount of the time somebody folds to a continuation bet on the river. Went to showdown percentage is a very important poker HUD stat that I use quite often. It is particularly useful when I want to know who I can bluff and who not to bluff. Poker HUD Stat Sample Sizes - Warning! One final note is please always remember how important sample size is when interpreting HUD stats and using them to make better decisions at the poker tables. If you don't understand how sample sizes work with HUD stats then you can actually be doing more harm than good in some cases, especially with 4Bet, turn and river HUD stats. Luckily, you don't have to guess about it though. Because I have already written the complete guide to poker HUD stat sample sizes which includes all of the numbers you need to know. And you can find that right here. What Games are These Poker HUD Stats Good For? The poker HUD stats above are best used in small stakes games online. And by that I mean specifically: NL2, NL5, NL10 and NL25 cash games. These are the games online where many of your opponents will be very basic and even complete beginners in some cases. The best strategy for success in these games is something that many people now call "exploitative" poker. This is also the strategy that I have been advocating for over 10 years now on this blog and in my books and videos. What playing exploitative poker really means is that you are finding and taking advantage of the major weaknesses of your opponents. For instance, they might fold too much before the flop, call too much after the flop or go to showdown too often. There are very clear counters to all of these mistakes which make them pay dearly. And since most of your opponents at the lower stakes will have massive glaring weaknesses like this in their game, an exploitative approach is absolutely the best way to beat them for the highest winrate. Other approaches like GTO (game theory optimal) poker for instance, which has become popular in recent years, are far less effective against players like this. 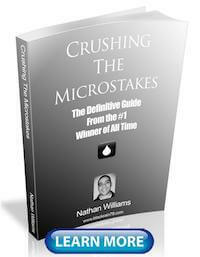 Because this style of play fails to attack the actual weaknesses of micro stakes poker players. So that is why some of the HUD stats that I advocate above will be either too weak or too strong for some people. In fact some people will complain that these stats are too "unbalanced." But that is the entire point! You don't crush players who have large fundamental leaks in their game by trying to balance all of your ranges in every situation and become totally unexploitable (i.e. what GTO poker tries to do). That stuff is great to know once you get to mid stakes and it is definitely necessary for high stakes games. However, I am talking about how to beat the beginner level regs and recreational players that you will find at the micros here, NOT solid well balanced professionals. So yes, some of your HUD stats absolutely should be unbalanced at the micros if maximizing your winnings is the goal. The other thing about these HUD stats is that they will have you playing a simple TAG (tight and aggressive) style of play that keeps you out of too many difficult situations at the lower stakes. And the reason why this is a good thing is because most of the people reading this article (and my books and watching my videos) are relative beginners as well. 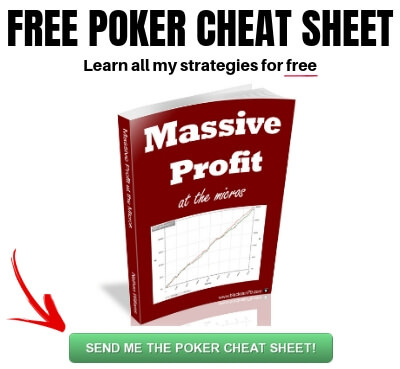 The best thing that newer poker players can do is keep everything as simple as possible. 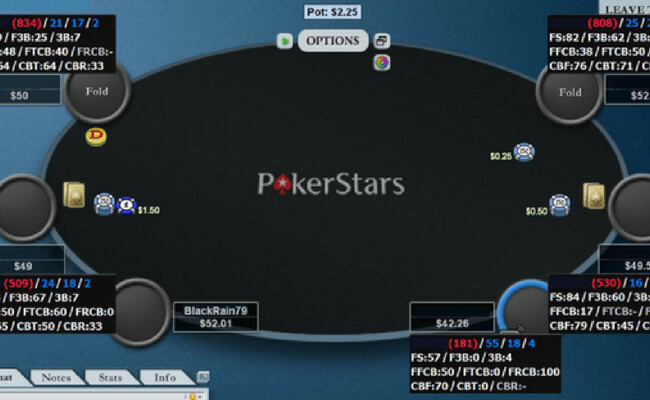 Avoiding fancy play is also the key to success at the micros in general. So for instance, some of these stats like Fold to 3Bet or Fold to Steal might be a little bit too high in higher stakes games against stronger thinking opponents. In fact a really solid player might even be able to find ways to exploit these a little bit. However once again, these HUD stats are meant for playing against the robotic non-thinking nits and loose/passive recreational players that you will often encounter at the lower stakes games like NL2, NL5, NL10 and sometimes NL25. A simple tight/aggressive and positionally aware style of poker is the best way for somebody who is new to the game or currently struggling at these stakes to start having success. The last thing that I want to note about these HUD stats is that it is important for you to develop your own style of play. In other words you should never try to copy a bunch of statistics and try to mold your game around them. Should you try to play roughly about 20% of your hands in 6max and 15% in full ring? Yes, but these are just general guidelines. In fact as I have talked about before I believe there is a higher win-rate ceiling at the micros with a LAG style of play, which would require you to play more hands than this. Furthermore, some people might do better with a lower 3Bet or a higher 3Bet than suggested above. They might also do better by folding their blinds more often or less often than suggested above. The bottom line is that you need to develop your own unique style of play and these HUD stats should only be taken as rough rules of thumb to go by. In my experience most winning players at the lower limits roughly fall somewhere within the confines of these stats. But the key to your success as you move up the stakes will be adjusting your play to each individual opponent and creating the perfect strategy against them in particular. You don't do this by trying to copy a bunch of charts or numbers. So there you have it. The above are what I consider to be good poker HUD stats for 2019 in both 6max and full ring at the micro stakes. Some will agree and some will bitterly accuse me of blasphemy! The real important point here though is that there is no such thing as "the best poker HUD stats." It depends on what game you are playing in, who your opponents are and what style of play you feel most comfortable playing as well. You can and should also switch up your game on a regular basis especially when you start moving up and encountering stronger thinking opponents. For example some days when I am playing higher stakes I will show up as a 13/10/3 (VPIP/PFR/AF) Full Ring nit sitting around waiting for the nuts. And some days I will play a 25/22/4 raging 6max LAGtard bluffing up a storm. I do this purposely so that my opponents can never get a firm grasp or read on what type of player I am. The minute they try and take a note on me, it is completely wrong the next time they play against me. Anyways, I do hope that this article was useful for some of you out there trying to figure out what the right poker HUD stats to have are. By the way you can download my entire custom HUD for free and use it for yourself at the tables right here. Lastly, I should also mention that a HUD is just one of the tools I use at the poker table. 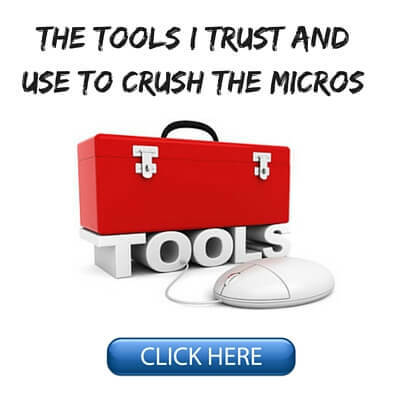 If you want to know everything I use to crush the micro stakes games online, here is the complete list. Let me know in the comments what poker HUD stats you use. Do you agree or disagree with the stats posted in this article? Hey Nathan, I recently started my trial of PT4 and downloaded your lite HUD. However, I've noticed that some players have a total AF of more than 5, or in some cases, it just displays the infinity symbol. What does it mean if a player has a total AF stat of 8, for example? Another thing I've noticed, is that some players have a higher PFR than VPIP - how is this possible? This is because you probably have a small sample size on them. Make sure that you have at least 100 hands on someone before using the AF stat. In my experience it is always 5 or less with a decent sample size like this. PFR higher than VPIP, never seen that, could be some weird sample size thing again. Okay, so the AF should be out of 5 then, right? I've read about PFR being higher than VPIP, and while it's very atypical, it isn't a bug. Anyway, thanks Nathan. I rarely see anyone's AF higher than 5 over a legit sample. So ya, you could just score on a 5 and below system. Just wanted to share that I have regularly a PFR higher than VPIP. The reason is, that when I play Spin & Go, the sample is small and there will be a lot of all-in situations. In some cases this leads to the possibility to call an all in, while it will be impossible to raise due to stack size. In the stats, the VPIP will go down when you don't call, but the PFR will be unaffected (it only changes if you have the possibility to raise). In certain situations, this can lead to the VPIP dropping below the PFR and as result show you a PFR higher than VPIP. Ah ok thanks for clearing that up! There is an option within Pokertracker to turn on your HUD stats as well. I always have it disabled personally because I can just see my own stats any time in the program itself. And where can you see those HUD stats in the program itself exactly? Under the "view stats" and "statistics" tabs. You can also use the "my reports" tab for much more detailed information on you and your opponents. Bro. What about f.e. In Zoom or any Fast-fold tables?. Stats won't work there or can't track enough hands except maybe vpip/pfr/3bet and not so much, and that if is not one of those games that starts every hand on a new table. What you recommend in that cases?. How do you do in rooms as Zoom or Snap changing every hand of table and villains?. What you use there?. HUD stats are much harder to gather in fast fold poker games. You can really only get solid information on the regs if you play against them every day for weeks or months. Haha good idea Jane, maybe I will write that article one day! Yes, I talk about player types in a lot more depth in all my books including the stats to look for. In Modern Small Stakes for example I break down 9 different player types at the micros. Yes, in Modern Small Stakes I give the average numbers for 9 different players types for 13 of the most common HUD stats. 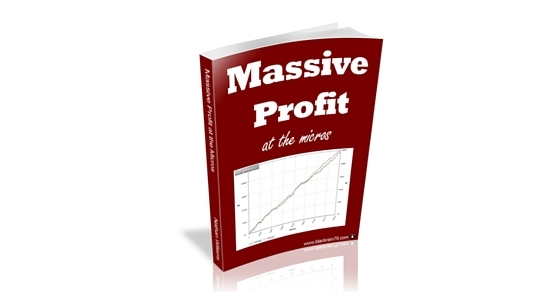 The numbers all come from my own poker database of millions of hands played at the micro stakes online. I'm confused. Isn't the gap between flop cbet and turn cbet like an invitation to get floated?